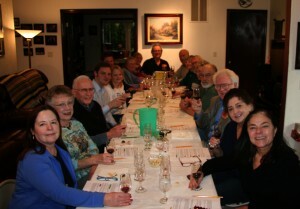 Taste to Learn: Is an educational tasting event, followed by a potluck. It is typically held at members’ homes. The purpose of the meeting is to allow members the opportunity to learn more about wine and beer, and to discover the specific qualities and how to evaluate them. This a great opportunity to learn more about the characteristics, components, and styles of wine and beer to ultimately become a better wine and beer maker. The format of each event varies. Sometimes there a fee charged and host provides all the beer or wine; other times each guest is asked to bring a bottle following the theme determined by the host.